I had recognized Ngugi in the academic procession. Unmistakably African, he was a much older man than his picture on the back of Weep Not, Child, his classic novel, the first one to come out of East Africa, which I had read as a schoolboy. He walked with grace and confidence, side by side with the other honorees: Thomas Buergenthal, American Judge on the International Court of Justice; Michael J. Fox, Professional actor and eloquent fighter against Parkinson’s Disease; Indra Krishnamurthy Nooyi, Chief Executive Officer of PepsiCo; and Laurence Henry Tribe, eminent professor of constitutional law at Harvard. Also in the procession were Michael Strahan, a world-class football player of the New York Giants; and Constance Silver, social work practitioner and philanthropist, who were to receive the Lewis Rudin Award and Albert Gallatin Medal, respectively. The lush lawn of the ballpark; the large electronic billboards; and the elevated tracks on which screeched the wheels of trains worming their way through upper Manhattan provided a postcard-background for the grand festivities unfolding before the audience. What they were witnessing was history that would never be repeated. For, at the end of this season, that Mecca of Baseball where they were being certified smart, will be torn down. The hallowed-grounds where Babe Ruth, DiMaggio, Lou Gehrig, Mickey Mantle, Don Larsen, and Roger Maris and others set and broke baseball records would be no more. So enthralling was the setting that William Lopez, one of the graduands, took his pants off and jumped onto the historical field and started running frantically to steal a home. He could have succeeded but for the phalanx of sprightly cops that tackled him to the ground. It was a comic relief, one that earned the BFA graduate a Desk Appearance Ticket for trespassing, and got him on the front page of the Daily News. If he ever gets before a judge, he probably would be lucid. He could claim a temporary mesmerism defense for the stupefying stunt, or just tell the judge that he was not to let the golden opportunity to mimic the Yankee greats slip through his fingers. That prankster nearly stole the day from Ngugi and the other accomplished individuals on whom were bestowed New York University prestigious awards and honorary degrees. By conferring honorary degrees on Buergenthal, Fox, Nooyi, Ngugi, and Tribe, New York University, a great American institution, was recognizing excellence qua excellence. It didn’t matter that none of them was born in the United States. Buergenthal survived Auschwiz and Sachsenhausen concentration camps; Fox was born in Canada; Tribe was born in Shanghai, China, to Eastern European Jewish parents; and certainly, Kamiriithu in Kenya and Chennai in India, the birthplaces of Ngugi and Nooyi, respectively, were very far away from Yankee Stadium. How could anyone who has met Ngugi in person or through his works not salute him at such a moment? Currently, the distinguished Professor of English and Comparative Literature at the University of California, Irvine, he was the Erich Maria Remaque Professor of Languages at New York University. He has at least twenty-seven books and countless articles under his belt. His erudition, humanism, and commitment to human rights make him one of the literary giants whose thoughts have shaped the cultures and histories of their people. Named James by his Kikuyu parents, who had suffered oppression, incarceration, and humiliation under British colonial rule in Kenya, Ngugi later changed his name to Ngugi wa Thiong’o and renounced Christianity. His early works, including The Black Hermit; Weep Not, Child; The River Between; A Grain of Wheat, and Petals of Blood, were written in English. However, after suffering incarceration in his native Kenya, he decided to start writing in his native Gikuyu. To him, any African literature not written in an African language was mere Afro-European Literature. He also wrote short stories, one of which was entitled Minutes of Glory. Ngugi has used literature to reinvigorate and reinvent the enervated Gikuyu language and culture, which like many other indigenous languages and cultures in Africa, continue to be threatened with abeyance. By deciding to write in Gikuyu, Ngugi probably knew the world would not ignore his works no matter the language he used. World literature as well as the Gikuyu culture and language are the better for that decision. All the major works that he wrote in Gikuyu have been translated to English either by him or others. So Ngaahika ndeenda: Ithaako ria ngerekano is accessible to us through the English translation: I Will Marry When I Want; Caitaani mutharaba-Ini has become Devil on the Cross; and Murogi was Kagogo has become Wizard of the Crow. Ngugi also understands the importance of shaping children’s minds. For them, he wrote insightful books like Njamba Nene na Chibu King’ang’I or Njamba Nene and the Cruel Chief; Njamba Nene na Mbaathi i Mathagu or Njamba Nene and the Flying Bus and Bathitoora ya Njamba Nene or Njamba Nene’s Pistol. 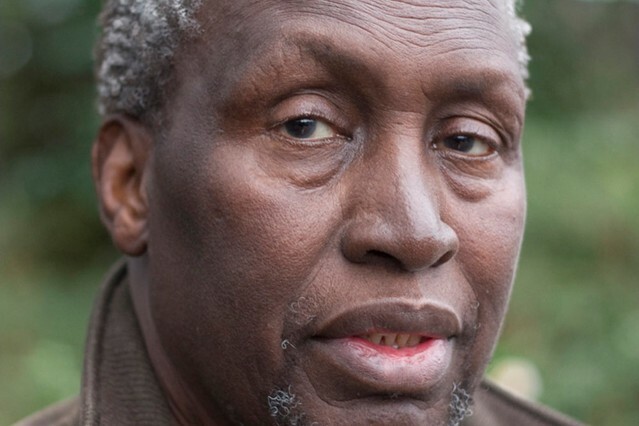 A literary critic of rare vision and immense stylistic power, Ngugi also wrote many critical essays, including Writers in Politics: Essays; Education for a National Culture; Barrel of a Pen: Resistance to Repression in Neo-Colonial Kenya; Decolonising the Mind: The Politics of Language in African Literature; Writing against Neo-Colonialism; Moving the Centre: The Struggle for Cultural Freedom; Penpoints, Gunpoints and Dreams; and the Performance of Literature and Power in Post-Colonial Africa. Ngugi is just one of the African literary icons in exile in the United States. While he might be in political exile in the US, given his bitter experiences in the hands of dictators in his native Kenya, others like Chinua Achebe, the novelist at Hastings-on-the-Hudson; Niyi Osundare, the poet in New Orleans; Ogaga Ifowodo, the poet at Cornell; Tanure Ojaide, the poet at the University of North Carolina at Charlotte; as well as Abiola Irele and Biodun Jeyifo (Igilago Geesi), the accomplished literary critics at Harvard, and their ilk hiding in the West, are really running from the unremitting anomie in their native Nigeria. Anomic exile? Ngugi, Achebe, Osundare, Ojaide, Ifewodo, Irele, Jeyifo, and all other African men and women of letters understand the problems of their continent. In fact, they have diagnosed these problems ad-nauseam in their works. Achebe actually wrote a book he aptly titled: The Trouble with Nigeria. As Robert K. Merton, the distinguished American sociologist, posits in his strain theory, the legitimate means for them to reach their shared goal of a sane continent to which they can contribute meaningfully are circumscribed by its very many structural limitations and concomitant anomie. While they love their great continent manqué, they cannot allow their creativity to be manacled by its structural contradictions. What is more? African writers know what living and working in a well-run country like the US feels like. Whatever problems that they may be encountering in exile, they have continued to contribute to literature, life, and the struggle against injustice in Africa. Osundare has risen from the muddy throes of Katrina to create more lapidary poetry that limn the sad condition of man. Ngugi’s Wizard of the Crow is a lyrical lampoon of the liege lords holding court in their labyrinthine looting lairs all over Africa. These cack-handed rulers have made the provision of basic modern amenities like electricity, clean water, good roads, and good healthcare for their people a mirage. Life is brutish and hellish for the poor. Yet, for some, returning to West Africa at this juncture may actually be suicidal. For instance, having sustained debilitating injuries in a motor accident during one of his visits to Nigeria, Achebe is paralyzed and needs intensive medical care. While it may be desirable for him to be among his people in his old age, therefore, asking the master of prose to return to a country with a derelict healthcare delivery system is tantamount to prescribing poison for his paraplegia. Also, in spite of the ravages of Hurricane Katrina, which he narrowly survived, Niyi Osundare has remained in New Orleans partly because relocating to his native country with his visually impaired daughter may have a negative impact on her future. America especially cares for those who are challenged. A perfect example is David Paterson, the blind African American governor of the great State of New York, who is currently undergoing treatment for glaucoma. It is not only little people that suffer from the sad state of the health care delivery in Nigeria. Umaru Yar’adua, the president of Nigeria, even with the stupendous resources of the state at his disposal, has been running back and forth to Germany for the past twenty-two years to treat catarrh and other undisclosed ailments. Also, doctors in Nigeria misdiagnosed Gani Fawehinmi, a 70-year-old legal luminary and gadfly of oppressors, with pneumonia. By the time he was properly diagnosed in Europe as having cancer of the lungs, the debilitating disease had spread. Fawehinmi was quick to add that it was not that Nigerian doctors were not good; they simply lacked the necessary diagnostic equipment. The lack of equipment should not be surprising. The immediate past minister of health, high-ranking Federal Ministry of Health officials, and a sitting senator are currently facing criminal charges for misappropriating N300 million. Then there is the power probe in the House of Representatives. The clangor of the sagas of corruption, violence, cruelty, penury, avoidable disasters, disease, and suffering firmly glues the feet of even the most patriotic of people to the lands of their exile. Indeed, for any of these writers to return to Africa they have to look beyond the seamy side of life over there, like Femi Ojo-Ade, Professor Emeritus of French at St. Mary’s College of Maryland; Ropo Sekoni, a noted literary scholar and semiotician formerly of Lincoln University; and Adebayo Williams, the former Amy Freeman Lee Chair of Humanities and Fine Arts at the University of The Incarnate Word, San Antonio. Suffice it to say that they have to look beyond the pervasive anomie at home and find avenues to make a selfless contribution no matter how small or large their spheres of influence. Wole Soyinka clearly understands how to respond to anomie. This is not just because he wrote the novel A Season of Anomie. Imbued with erudition, rare pluck, and prodigious energy, the Nobel Laureate has clearly shown us how to enlist the synergy of literature, theatre, politics, and activism in the fight against anomie. Even though he is a septuagenarian, like the Yoruba god of Thunder Sango, Soyinka traverses great distances within a very short time; and like his patron god, Ogun, everywhere he goes, he serves as the lighting rod against ignorance and the assaults of madmen and miscreants in power on the collective stomachs and psyches of his people. In his stout defense of the sanity and the well being of the suppressed, Soyinka still leads street protests, gives insightful lectures, contributes thought-provoking position papers and articles, and pursues other noble causes. In fact, it is difficult to determine whether Soyinka is here or there. He may give lectures and lead protests on three continents within a week. As for Ngugi, he and his wife Njeeri actually attempted to resettle in Kenya in 2004. He announced the end of his exile and left the US with pomp and pageantry. He first embarked on a tour of East Africa to trumpet his return to the African soil. Everywhere he went, a throng of admirers came out to receive him. When he finally made his triumphant return to Nairobi on August 8, 2004, from where he had to flee twenty-two years earlier, Kenyans truly believed that the indefatigable fighter and unquenchable voice for the voiceless had returned permanently to rejoin the liberation struggle. As to who might have been responsible for the attack, Ngugi had this to say: “it wasn’t a simple robbery. It was political – whether by remnants of the old regime or part of the new state outside the main current. They hung around as though waiting for something, and the whole thing was meant to humiliate, if not eliminate, us.” He added: “I don’t think we were meant to come out alive. We think there’s a bigger circle of forces – not just those who attacked us. I don’t know if we’ll ever reach the truth. But I’m sure that if it had happened under the Moi regime, we wouldn’t be alive.” Moi, as in Arap Moi, was the Kenyan dictator that jailed him in 1977 for a satirical play: I will marry when I want, which Ngugi had authored with Ngugi wa Mirii. Needless to say that it was a very traumatic experience for Ngugi, who had to hurriedly return to the “sanity” of America, where he and Njeeri have continued to live. As Ngugi had aptly predicted, after over one thousand lives had been lost in the madness in Kenya, the macabre gladiators who railroaded the poor to perpetrate heinous crimes against one another agreed to a power-sharing formula, leaving the poor to mourn their dead and nurse their wounds. If Africa remains in the grips of rapacious, capricious, and hardhearted rulers who are bound to violence and graft, exile may be of indeterminable duration for Ngugi, Achebe, Osundare and other Africans in arts, science, technology, and politics that she really needs for its renewal. For it is the action and inaction of the lumpish African despots, together with their lodestars of insatiable greed and violence against their people, that have made exile the honey-coated bitter pill in the mouths of African intellectuals hiding in the West. The bitter pill of exile is unsavory to their tongues or noses but their taste buds are not averse to the bittersweet honey either. Asking them to spit out the bittersweet honey of exile for the dosage of poison from their leaders is indeed a tall order. The challenge then is for these people to learn how to deal with the bitter pill as well as the musty wind of exile whenever they engulf their gustatory and olfactory senses. Talking about the malodorous wind one has to smell willy-nilly in exile, on November 10, 2007, while on a promotional tour of the Wizard of the Crow in San Francisco, Ngugi suffered firsthand the treatment often meted to poor, and invisible people all over the world every day at the ‘Hotel Vitale at the Embarcadero’. A worker who assumed that, as a Black man, he could not have been a guest, ordered him out of the premises of the prestigious hotel. When it was confirmed that Ngugi was indeed a distinguished guest of the hotel, the manager who was summoned, added insult to injury by offering him a bottle of complementary whisky for his trouble! Ngugi, who had fought against colonialism, neocolonialism, and capitalism all his adult life and understood racism, left the hotel immediately. Unfortunately, even some people who are poor and disadvantaged, like the errant hotel worker, perpetuate racial injustice against people who are different. These people, who often groan under the weight of institutional classism but are shielded from institutional racism, are fed the lie of racial superiority. Indeed, institutional racism is one of the stratagems to perpetuate institutional classism against the poor of all races in America. The poor of all races are now suffering from the madness and miscalculations of only a few wheeler-dealers in America who are adept at peddling meretricious sound bites as evidence of their concern for the well being of all, but pursue agendas that hurt the poor and middle class to the marrow, and enrich themselves and their friends. Hear Ngugi talking about globalism, one of the themes he has explored in the Wizard of the Crow: “Globalization is a big drama…. It produces a world characterized by a dangerously widening gap between the wealth of a small stratum and the poverty of the social majority within each of the nations of the Earth. This trend is accompanied by loss of voice for the impoverished majority.” If the low cadre hotel worker had known that the man he had blatantly disrespected was a vibrant and irrepressible voice for people like him, he probably would have been a little cautious. The knowledge of the above incident of a little more than six months before made Ngugi’s ‘Minutes of Glory at Yankee Stadium’ to be especially meaningful for me. Without a doubt, there is nothing inherently wrong with America that cannot be righted with all that is good with it. America has indubitably changed from September 1906 when, at the Bronx Zoo, not too far away from Yankee stadium, Ota Benga, Ngugi’s fellow African, was put on display in the Monkey House. He had as his playmate, an orangutan, with which he wrestled on the floor strewn with bones. Ngugi wa Thiong’o and Indra Nooyi, son of Africa and daughter of India; Thomas Buergenthal, Holocaust survivor; Michael J. Fox who, though did not graduate from high school, has continued to be a fierce fighter against Parkinson’s Disease; and Laurence Henry Tribe, ingenious Jewish American constitutional scholar who arrived in California at the age of six without knowing a word of English, have all savored their minutes of glory on the sacred grounds of Yankee Stadium. As they continue to excel, they bring hope to their fellow immigrants and lend a fillip to the unending project of a fully-integrated America. Yet these times demand that while some of them are outside their rarefied classrooms, courtrooms, and boardrooms, they still need to have handy their handkerchiefs (soaked in the most odoriferous of perfumes) to shield their nostrils when those constipated with hatred and intolerance, and are bound to xenophobic fixity, decide to break wind. Dr. Olusesi, a social worker, lives in New York.